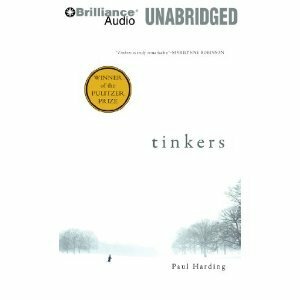 Paul Harding has an MFA from the Iowa WritersвЂ™ Workshop and teaches creative writing at Harvard. He lives in Georgetown, Massachusetts. 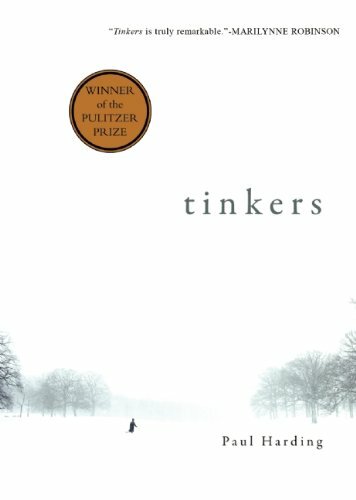 Tinkers came out of the blue to win the Pulitzer, much to the surprise of countless award prognosticators. Up to that point it seems to have been the small, quiet, special book known only to a select few. If you strip away its sudden fame, you have a lovely story told with obvious talent and a spiritual sense of precision. George's life and impending death is told in snatches of human thought; sounds, feelings, and random memories come up to the surface and leave as quickly as they came. As one man's take on human consciousness in the midst of suffering it is incredibly successful and moving. For a novel, however, there felt like there was something ever so slightly missing that connected the threads together to make the book as powerful as its opening suggests. Still, it is serious American literature, and a welcome release from books which tell instead of show, and filled throughout with a transitory sense of familiarity which is too rare in modern fiction. 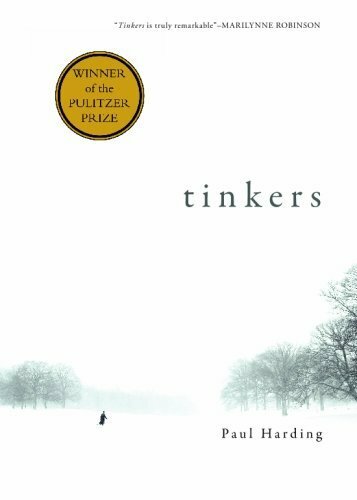 Marilynne Robinson, author of GILEAD, describes Pulitzer Prize winner TINKERS as"truly remarkable," and as conferring "the illusion of ghostly proximity to other human souls." Robinson's book is about a minister, and there's one in TINKERS. I had trouble with both of them, namely the long descriptive, philosophical and sermonizing passages that I had to read twice or more to figure out what the heck the characters were trying to say. There just isn't a whole lot of plot.There are also long, monotonous descriptions of clock works, which really didn't tell me much about how a clock works. I guess there's also supposed to be a connection between making a clock and nature. There's a description of building a bird's nest, which seems to require the same amount of patience as fixing a clock. Paul Harding is really good at description, which might be why he employs it so much, but that's no reason to ignore plot. The book jumps back and forth between a grandfather (the minister), a father (a peddler or tinker) and the son, an antique clock repairman, who is dying on the first page of the book. Howard Crosby, the peddler, has epilepsy, and there was also mental problem with his father, the minister, although we never specifically find out what it is. All of this affects George: the lack of a father, the lack of money as a youth. Howard is probably the main character of the book as his epilepsy and amiable nature get him in all kinds of trouble, with his wife especially. I cared about Howard and worried about what would happen to him and wondered why he did certain things, some of which might be unforgivable to certain people. The ending is so ironic some might say author Paul Harding wrote it first and tried to make the rest of the book fit. This was a book club selection. I donated the CD set to our local library as I would not give it to family or friends (that would indicate I liked the book). I did enjoy the people and the stories but there were too many confusing times where the characters went off into a poetic universe. I found it terribly difficult to follow. This novel is a kaleidoscope of beautiful views of life.Often startling, always touching, it draws the reader into a unique way of seeing the world we live in. Very strange. Focus on prose descriptions of details of various New England environments, almost a stream of consciousness from the view of those dying or reflecting on the dying of Howard, Howard's father, and George (Howard's son). We note the smells or lack thereof, the flowers, to room arrangements, dust, and spend hours sitting in ponds wondering about Indians. Two wonderful tidbits for me included visits with a hermit and the gradual disappearance of a minister who clearly entered the world of books. It is the winter of 1379 and a sea of trouble is besetting England as French privateers continue to attack the southern coast on a path to threaten London itself. In response an English flotilla of warships, with GodвЂ™s Bright Light in its number, has dropped anchor in the Thames. When the sun rises on the flotillaвЂ™s first morning, the first mate and two of the crew of GodвЂ™s Bright Light have disappeared without a trace. Sir John CranstonвЂ”the wine-loving Coroner of the CityвЂ”and his clerk Brother Athelstan are summoned to resolve the mysteries on board the ill-omened warship. In particular, they must search out the truth behind the death of Sir Henry Ospring, who after visiting the shipвЂ™s captain was later viciously stabbed to death in a tavern chamber. As Cranston and Brother Athelstan investigate, they find themselves in the thick of a bloody battle as scandal, treason, and murder rule the day. This is the fifth book in the Sorrowful Mysteries of Brother Athelstan series. This novel combined with the early books in the Hugh Corbett series is one of Paul Doherty's earlier offerings and he has since written many more books and is now an established author of medieval novels and has also added a number of novels on Egypt to his ever growing list of titles. Having said that it is one of his earlier offerings does not mean that it is inferior to his current books, quite the opposite. The Hugh Corbett mysteries were and are extremely popular and Paul Doherty has found another winner with the Brother Athelstan series. 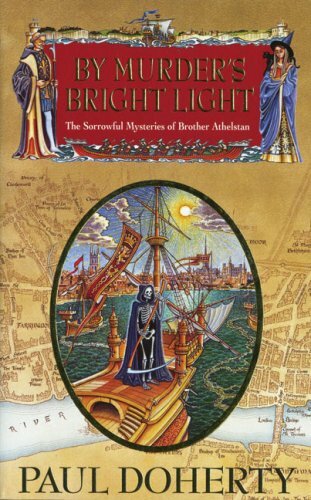 This books charts a mysterious happening on the river Thames, the life blood of the City of London in medieval times. An event that calls for all the skill and aptitude of the Sir John and Brother Athelstan. The pairing who have solved many of the more recent crimes, mysteries and murders in the London streets. A ship of war has dropped anchor in the murky waters of the Thames and during the night, the entire watch of the ship, God's Bright Light, disappear, apparently without any trace. After a series of unaccounted for deaths and strange happening the Coroner and Brother Athelstan find themselves drawn into the thick of a bloody battle . . . This riddle's worth solving (and reading)! It's no riddle as to whether the seventh--and possibly final--episode of Paul Harding's "The Sorrowful Mysteries of Brother Athelstan" is an exciting read or not. It is! In "The Assassin's Riddle," Harding continues the escapades, adventures, and good deeds of Brother Athelstan, the Dominican friar of St. Erconwald's parish in Southwark in fourteenth century London. Harding forwards his usual cast of characters in this medieval mystery and, once again, we find them abroil in yet another set of mysteries. Someone is killing off the clerks at the Chancery of the Green Wax; someone has stolen a fortune in silver from the Crown, committing murder at the same time; there has appeared a holy mystery at the church: a crucifix that bleeds; and the Bishop is thinking of transferring Athelstan to Oxford. And who is better suited to solve these mysteries than Brother Athelstan, parish priest and secretarius to Sir John Cranston, the King's Coroner for the City of London! Naturally, pressure is applied from the Crown, in the form of the Regent, John of Gaunt, to have the killings stopped and (most important to John) to get the silver back. These murders are always accompanied by a riddle, the solution of which, as the good friar knows, will reveal the murderer....The relationship between Athelstan, who loves riddles and other cerebral conundrums, is the alter ego of Sir John, whom Harding describes as a man who loves "his wife, his twin sons, his dogs, and especially this gentle friar with the sharp brain and dry sense of humor." As Cranston tells his wife, "I can number my friends on one hand and still have enough fingers left to make a rude gesture at the Regent. Athelstan's my friend." And it is this relationship that is one of the major attributes of Harding's series. As in the previous two books, there is a question as to whether Athelstan will stay at St. Erconwald's (for one, he is immensely popular with his parishioners, and both the Bishop and the Regent fear this popularity; for another, the Bishop feels his brilliance would be better served lecturing to the students at Oxford). Another strong point of Harding's writing is the authentic description of the times, from the grime and refuse of the city's streets to its inhuman treatment of its poor and criminals to addressing health problems of the time, particularly the plague. He also scores points with his sensitivity of character construction: Benedicta the widow, Ursula the pig woman and her pet sow, the Fisher of Men, and Athelstan's devoted horse Philomel and cat Bonaventure. The author does not hesitate to put forth the goodness in Athelstan, who has the ability to see goodness in others, often in the least expected places. Very well written and enjoyable to read. It contained a lot of actual history and a lot of humor. Right up there with Brother Cadfel. This is the first book in the Sorrowful Mysteries of Brother Athelstan series. This novel combined with the early books in the Hugh Corbett series is one of Paul Doherty's earlier offerings and he has since written many more books and is now an established author of medieval novels and has also added a number of novels on Egypt to his ever growing list of titles. Having said that it is one of his earlier offerings does not mean that it is inferior to his current books, quite the opposite. The Hugh Corbett mysteries were and are extremely popular and Paul Doherty has found another winner with the Brother Athelstan series. This book brings together an unlikely pair of medieval detectives in Brother Athelstan, a friar at one of the many impoverished churches in London and coroner Sir John Cranston. They are called upon to inquire into the death of a powerful London merchant. The man has been poisoned and their inquires bring the pair into contact not only with secretive nobles crafty priests and the assorted dregs of London's gutters. It is the summer of 1380 and the corpse of Edwin ChaplerвЂ”clerk of the Office of the Green Wax of the ChanceryвЂ”has been pulled from the Thames. Though ChaplerвЂ™s death was caused by drowning, he also received a vicious blow to the back of the head before his plunge into the river. 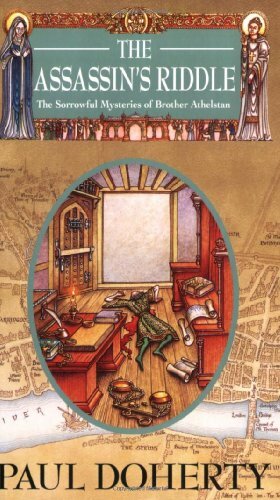 Bartholomew DraytonвЂ”a usurer and money-lenderвЂ”is then found dead in his strongroom, a crossbow firmly embedded in his chest. Sir John Cranston, the Coroner of the City of London, comes to survey the scene and is perplexed to find the windowless strongroom was locked and barred from the inside at the time of the murder. When other clerks are found murdered, each with a riddle pinned to his corpse, Cranston enlists the help of his secretarius Brother Athelstan, and together they must pit their wits against a deadly adversary bent on murder and mayhem. This is the seventh book in the Sorrowful Mysteries of Brother Athelstan series. This novel combined with the early books in the Hugh Corbett series is one of Paul Doherty's earlier offerings and he has since written many more books and is now an established author of medieval novels and has also added a number of novels on Egypt to his ever growing list of titles. Having said that it is one of his earlier offerings does not mean that it is inferior to his current books, quite the opposite. The Hugh Corbett mysteries were and are extremely popular and Paul Doherty has found another winner with the Brother Athelstan series. Sir John Cranston, the Coroner for the whole of the City of London, is well liked by the people of the city and few will stand in his way when he is trying to solve a crime in the city. But the case that he is involved with at the moment, with the help of is secretary and friend Brother Athelstan appears to have no witnesses and no one who can throw any light onto why the murders are happening. 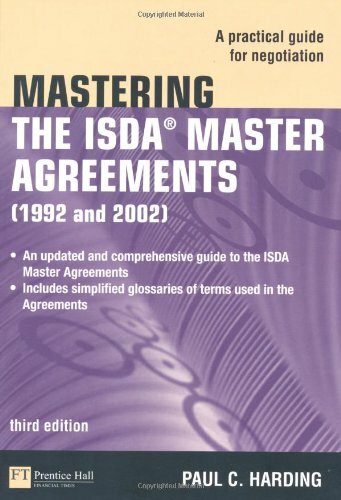 A timely updating of the only accessible single volume guide to the agreements and contracts used by the International Swaps and Derivatives Association (ISDA). No other book combines these elements in one place. The book comes in with good condition. Thanks Amazon. 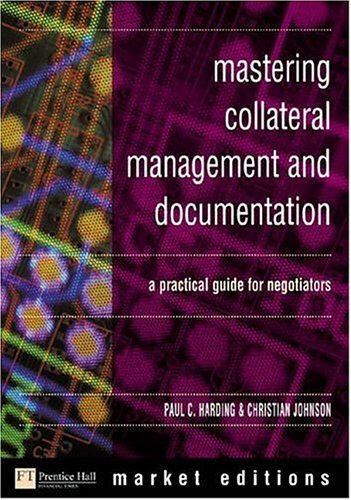 This book is good for those novice and professional who works in the financial industry who require a good understanding on the terms of ISDA Mater Agreement. 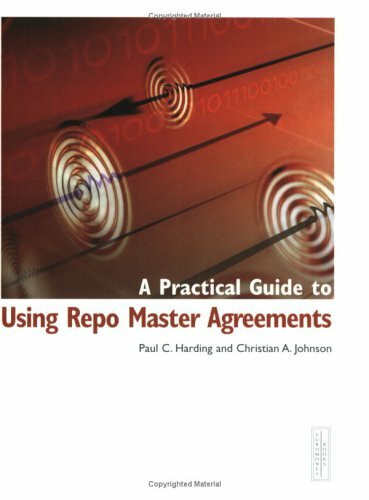 I would strongly recommend this book as the bible of ISDA Agreement. It is 1380 and the British King's parliament is debating on whether to grant money and supplies to the Regent John of Gaunt for his war against the French. Following the assassination of the Shrewsbury representatives, John orders Sir John CranstonвЂ”LondonвЂ™s coronerвЂ”to investigate lest the parliament suspect the Regent himself of committing the crime. Meanwhile both Cranston and his ally Brother Athelstan have their own problems: the coroner is puzzled by a thief stealing cats from Cheapside, and Athelstan is concerned by claims that a devil is prowling his parish. Against the colorful pageantry of medieval court life and the dark slums of London, Cranston and Brother Athelstan must pit their wits against an assassin in the House of Crows. This is the sixth book in the Sorrowful Mysteries of Brother Athelstan series. This novel combined with the early books in the Hugh Corbett series is one of Paul Doherty's earlier offerings and he has since written many more books and is now an established author of medieval novels and has also added a number of novels on Egypt to his ever growing list of titles. Having said that it is one of his earlier offerings does not mean that it is inferior to his current books, quite the opposite. The Hugh Corbett mysteries were and are extremely popular and Paul Doherty has found another winner with the Brother Athelstan series. This digital document is an article from Wordsworth Circle, published by Wordsworth Circle on September 22, 2009. The length of the article is 1621 words. The page length shown above is based on a typical 300-word page. The article is delivered in HTML format and is available immediately after purchase. You can view it with any web browser. 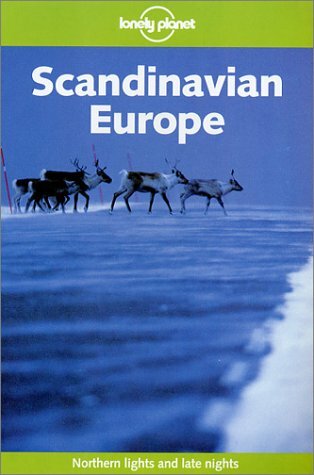 Note from Publisher: This is the old edition of Lonely Planet's guide to Scandinavian Europe. Lonely Planet's new edition of Scandinavian Europe may be found by typing the ISBN number, 174059925X, into the search box. The fantastic new 7th edition has new excursions to St Petersburg and Tallinn, complete with excellent maps, unmatched regional itineraries for maximum experience, and a Getting Started chapter and Directory which make practical information handy. Sometimes I wonder if LP is getting complacent because of their brand name and is not doing as good a job validating the information published.I used this guide in my recent travel to 4 countries in the Scandinavia.For every country, at least 50% of the information on cafes/restaurants/hotels were incorrect.Eg. in Helsinki, I went to 4 restaurants listed on the book. Out of 4, only 1 is correct.The other 3 have either closed down, moved or changed owners and is no longer serving what the guide describes. The friend who was travelling with me even asked me to toss the guidebook away, after the time we've wasted getting to all the restaurants/cafes that no longer exists.In my final stop, Norway, I was really hesitant to use the guide further, as it made so many mistakes. I did use it one more time to book the Norway-In-A-Nutshell package as per the book's recommendation and directions.What I found out later, through other travellers, was that it is better to book this at the train station and each leg separately, rather than as a package.By booking each leg separately, you can easily save up to Kr 400 (which is ~ USD 65, Euro 50).The amount of effort and time to do either is the same.I am hugely disappointed by LP's efforts in research and updating the information they publish. Lets face it this book is for backpackers trying to sqeeze by in an expensive place like Scandinavia.If you want to read about the region than your going to need another book.Outside the major citites this book probably lacks coverage but in the cities it is a completely different story.I did some major hosteling in Scandinavia due to budget constraints.Many of these hostels were the nicest ones I have ever seen.If you want to hostel around Scandinavia this book is the most useful lonely planet I have yet to purchase out a dozen or so. AIDS (Acquired ImmunoDeficiency Syndrome) is one of the most perplexing health problems confronting everyone today. 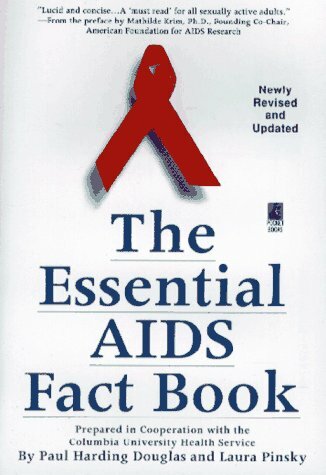 The Essential AIDS Fact Book can help you to protect your health now -- while scientists work toward developing a vaccine and better treatments. RESOURCE GUIDE -- hot line numbers, AIDS education, counseling, anonymous testing sites, medical information, legal advice. It is sad but inevitable that Paul Harding's novels about Brother Athelstan havebeen overshadowed by the Cadfael series by Ellis Peters .The series heroes have much in common --both are medieval religionists with military backgrounds who have the uncanny knack of getting involved with ,and solving ,criminal cases .Both are partnered by the "official wing " of the law -Cadfael by sheriff Hugh Beringar ,and Athelstan by the mountainous and wine loving Sir John Cranston .